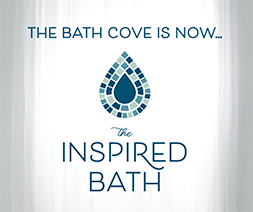 Welcome to The Inspired Bath where our design specialists can turn your inspiration into a reality. We realize that each project is unique as are your product desires and requirements. This is why we encourage our customers to visit our showrooms and take the time to browse the many designs we have on display. 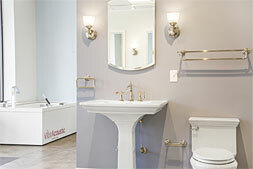 Our walls are lined with hundreds of bath and kitchen products in a variety of styles from today’s top manufacturers. Visit our new location in Waltham, MA! 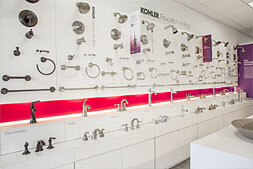 Walking through the showroom is the first step in the product selection process. Collaborating with our designers is where your plan evolves and becomes truly one-of-a kind. Our experience working on new construction and renovation projects has made our team experts in identifying products that will fit your space, budget and style. Curated vignettes showcase contemporary, traditional and transitional designs allowing you to visualize the products in a home environment.